DRY – Don’t Repeat Yourself! is one of the main ideas of a good developer while developing a software. We’re trying to implement it from simple methods to classes and modules. What about developing a new web based application? We, software developers, have similar needs when developing enterprise web applications. Enterprise web applications need login pages, user/role management infrastructure, user/application setting management, localization and so on. Also, a high quality and large scale software implements best practices such as Layered Architecture, Domain Driven Design (DDD), Dependency Injection (DI). Also, we use tools for Object-Releational Mapping (ORM), Database Migrations, Logging… etc. When it comes to the User Interface (UI), it’s not much different. Starting a new enterprise web application is a hard work. Since all applications need some common tasks, we’re repeating ourselves. Many companies are developing their own Application Frameworks or Libraries for such common tasks to do not re-develop same things. Others are copying some parts of existing applications and preparing a start point for their new application. First approach is pretty good if your company is big enough and has time to develop such a framework. As a software architect, I also developed such a framework im my company. But, there is some point it feels me bad: Many company repeats same tasks. What if we can share more, repeat less? What if DRY principle is implemented universally instead of per project or per company? It sounds utopian, but I think there may be a starting point for that! ASP.NET Boilerplate  is a starting point for new modern web applications using best practices and most popular tools. It’s aimed to be a solid model, a general-purpose application framework and a project template. What it does? Based on latest ASP.NET MVC and Web API. Implements Layered Architecture (Domain, Application, Presentation and Infrastructure Layers). Provides an infrastructure to develop reusable and composable modules for large projects. Uses most popular frameworks/libraries as (probably) you’re already using. Provides an infrastructure and make it easy to use Dependency Injection (uses Castle Windsor as DI container). Provides a strict model and base classes to use Object-Releational Mapping easily (uses NHibernate, can work with many DBMS). 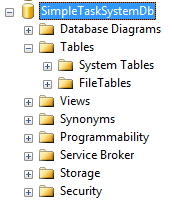 Implements database migrations (uses FluentMigrator). Includes a simple and flexible localization system. Includes an EventBus for server-side global domain events. Manages exception handling and validation. Creates dynamic Web API layer for application services. Provides base and helper classes to implement some common tasks. Uses convention over configuration principle. Provides two project templates. One for Single-Page Applications using Durandaljs, other one is a Multi-Page Application. Both templates uses Twitter Bootstrap. Most used libraries are included by default: Knockout.js, Require.js, jQuery and some useful plug-ins. Includes unique APIs for some sommon tasks: showing alerts & notifications, blocking UI, making AJAX requests. Beside these common infrastructure, the “Core Module” is being developed. It will provide a role and permission based authorization system (implementing ASP.NET Identity Framework), a setting systems and so on. 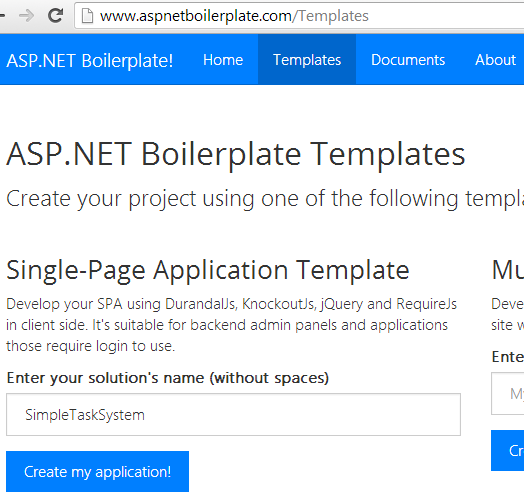 ASP.NET Boilerplate provides an application development model with best practices. It has base classes, interfaces and tools that makes easy to build maintainable large-scale applications. But..
It’s not one of RAD (Rapid Application Development) tools those provide infrastructure for building applications without coding. Instead, it provides an infrastructure to code in best practices. It’s not a code generation tool. While it has several features those build dynamic code in run-time, it does not generate codes. It’s not a all-in-one framework. Instead, it uses well known tools/libraries for specific tasks (like NHibernate for O/RM, Log4Net for logging, Castle Windsor as DI container). 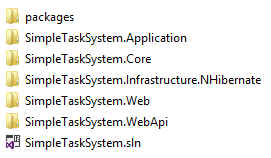 Created project’s runtime is .NET Framework 4.5.1, I advice to open with Visual Studio 2013. The only prerequise to be able to run the project is to create a database. SPA template assumes that you’re using SQL Server 2008 or later. But you can change it easily to another DBMS. Template consists of two pages: One for Home page, other is About page. It’s localized in English and Turkish. And it’s Single-Page Application! Try to navigate between pages, you’ll see that only the contents are changing, navigation menu is fixed, all scripts and styles are loaded only once. And it’s responsive. Try to change size of the browser.